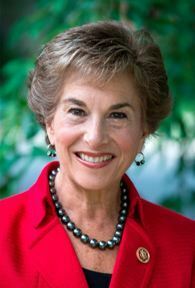 U.S. Rep. Jan Schakowsky (D-Dist. 9) recently released a statement recognizing Polish-American Heritage Month. "October marks Polish-American Heritage Month, a time for our nation to celebrate the critical role and many important contributions by members of the Polish-American community today, and over hundreds of years of American history. "Chicago and its surrounding suburbs are home to over a million Americans who trace their roots back to Poland -- whether they came here themselves or had ancestors that made the trek in search of a better life. They are an essential piece of the diverse fabric that makes up the Ninth Congressional District of Illinois, and of the United States as a whole. From General Casimir Pulaski’s contributions in the Revolutionary War to the good done by Polish-Americans, like AFL-CIO President Richard Trumka and so many others, I am grateful to have so many Polish-Americans in America’s melting pot." Polish-American Month began in August 1981 as an event organized by Michael Blichasz, president of the Polish American Cultural Center in Philadelphia. In 1984, President Ronald Reagan issued a proclamation declaring August as Polish-American Heritage Month. Because October is the month when the first Polish settlers reached America, the month was changed to October in 1986. Want to get notified whenever we write about U.S. Representative Jan Schakowsky (IL-9) ? Next time we write about U.S. Representative Jan Schakowsky (IL-9), we'll email you a link to the story. You may edit your settings or unsubscribe at any time.